NLAL™ is the safe and simple evolution of standard liposuction. It is Advanced Slimming Technology for non-invasive body contouring that delivers immediate results! 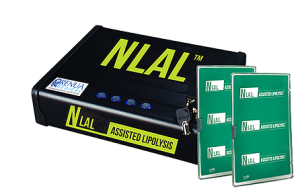 NLAL™ is a method of body contouring improvement with essentially no side effects. The paddles are comfortably applied to the treatment area while the client undertakes a simple 20 minute exercise routine. As the light therapy triggers the fat cells to release the triglycerides and fatty acids, they are utilized during the exercise process and inch loss is the result. NLAL™ is the only portable light therapy system that affords the client less time spent in treatment, as the therapy and exercise are done concurrently. It uses near laser light wave energy to open channels in fat cells to release fat just like doctors use wave energy to break kidney stones, destroy polyps and more. 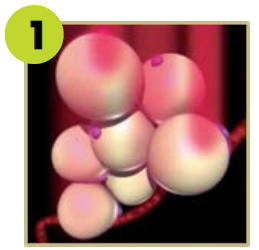 N-LAL opens channels in fat cells. Channels release free fatty acids glycerol. 20 minutes in total with an additional 10 minutes to take measurements before and after each treatment. Do you have to exercise during the treatment? We prefer that you exercises during or just after treatment for maximum results, Exercise helps burn the fat the NLAL released and speed up the lymphatic system. How are the measurements taken? Three separate measurements are taken on the area treated. How many calories will a single treatment release? A single treatment would mobilize approximately 300-500 calories, although tests have shown it could be more. What are the advantages of LED over invasive processes? There are major advantages to noninvasive LED processes; including no pain vs. severe pain, instant results vs. up to 16 weeks recovery for liposuction, possible risk of infections with invasive surgery, price advantages, no damage to body including fat cells as opposed to total removal of cells and blood vessels, post-operative numbness, etc. How is the “fat” reduced beyond the information already provided? When energy is required by the body, the brain sends signals to the adipose cells to break down the stored fat; a process called lypolysis. 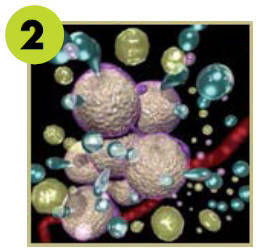 During this process, free fatty acids are released into the bloodstream and circulate throughout the body. Chromophores are part of a molecule which can absorb certain wavelengths of visible light. 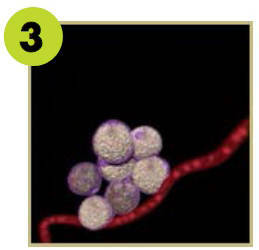 Specific wavelengths of light cause fat cell membranes to lose their round shape by changing the permeability of the cell. This light creates photobiomodulation within the adipose cells signaling a change inside each adipose cell, creating pores or channels in the cell wall. This alteration of the cell triggers the release of an enzyme (lipase) which can break the triglyceride molecules down into fatty acids and glycerol molecules which are now small enough to pass through the pores of the cell wall releasing stored fat. After a 20 minute treatment, with exercise, the essential demand for energy is created, which can now be met by the released fatty acids and glycerol from the adipose cells, completing the inch loss process. A question around hormonal issues such as an over active or under active thyroid gland; what would be the benefits or possible dangers of using NLAL™? It is unlikely that someone with hyperthyroidism would come seeking fat reduction as the symptoms of their underactive thyroid cause them to lose weight despite having an increased appetite. The patient would be contraindicated from treatment if they were undergoing any significant medical treatment for their condition as opposed to being well controlled on basic oral medications. Hypothyroidism can cause significant weight gain for a patient and thus NLAL™ would be a benefit. Our advice is that if a patient’s condition is stabilized and well controlled by their medications they could try treatment, although some patients appear to respond while others don’t. The clinic would have to try 1‐2 sessions and then discuss further with the client if they wanted to proceed. No promises could be made because of their medical history. 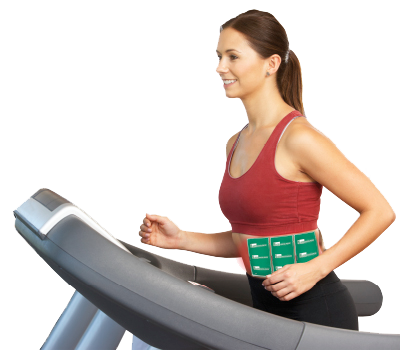 In regards to using a body wrap after the NLAL™ treatment; can this be used instead of working out? A body wrap is a nice way of improving the hydration/texture of the epidermis and also reduce water retention, but offers no benefit for fat reduction that is evident in any medical research. It certainly cannot be used instead of working out. There is no getting away from it; the patient has to perform cardiovascular exercise to burn calories. There is no other way to eliminate fat from the body. The body will not eliminate fat on its own, and its whole purpose is to store fat just in case we don’t get anything to eat next week! What happens if you steam or sauna following the NLAL™ treatment?Can this be done instead of working out? See above regarding body wraps. There is some thought that exercise in an infrared sauna chamber can increase calories burnt per hour….but exercise is still necessary. Sauna/steam alone will facilitate water loss and will cause some minor increase in metabolism, but again, there is little confirmed medical evidence in peer reviewed studies to suggest that a suitable session could burn the minimum 300‐400 calories we want to metabolize during an NLAL™ treatment. How many treatments can the client have? When should they stop having treatments? How much time between courses? The standard course is 8‐10 sessions, twice per week for 4 weeks with 2 optional top up sessions during the following 2 weeks. (There is flexibility to do one per week if that more appropriately meets client’s schedule). We do only 2 treatments a week to allow the blood fatty acid levels to stabilize after each treatment. Further treatments can be undertaken after a 2 week break. This break is also to allow the body to return to its normal mode of action and can help the clinic to ascertain if the patient is actually making the changes to their diet and lifestyle that is required to maintain the results NLAL™ gives them. If they come back after the two weeks, having gained back the inches, further consultation and advice needs to be given to decide if there is any point to further treatment. What is the wave length of the LEDs? How many paddles does the NLAL™ have? The NLAL™ has 8 paddles whereas generally laser products tend to have two ‐ four paddles. By having 8 paddles, there is no need to disturb the client half way through the treatment. How many diodes per paddle? The NLAL™ LED system has 30 medical LED lights fitted to each paddle. (Laser generally has far less, around 8‐12 diodes). What is the absorption rate of the NLAL™? The LED system has a far higher absorption rate as opposed to laser due to the refraction and strength of the beam, typically LED 70% absorption compared to laser around 30%. This gives a much higher chance of better results in inch loss and fat reduction. What certification does NLAL™ have? An equipment specialist can answer your questions and help you determine the best equipment for the Aesthetic Program at your practice.